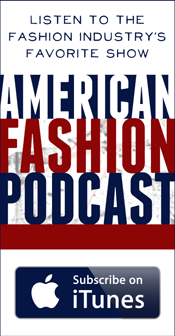 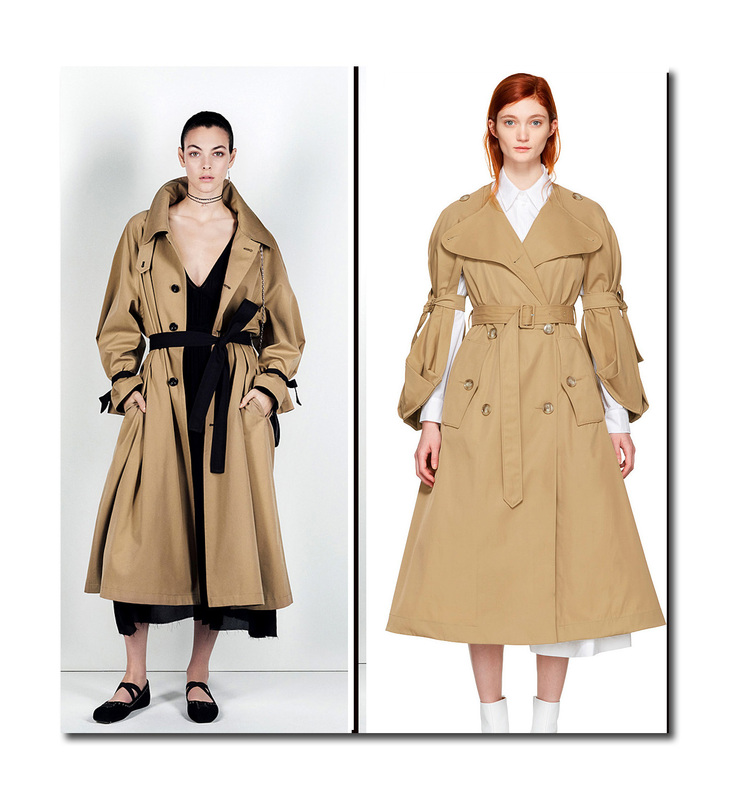 While high fashion undeniably comes with astronomically high prices, that doesn’t mean there aren’t bargains to be found, and who amongst us doesn’t love a bargain? 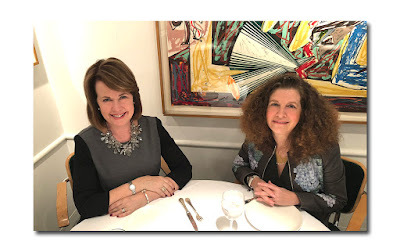 Especially now, as the last day for filing taxes is soon approaching and naturally, finances are on everyone’s minds. 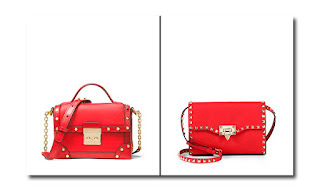 To best illustrate, I selected a number of items in the market and showed their high priced versions along with their (far) less expensive doppelgangers (in every case, they are a fraction of the cost of the originals). 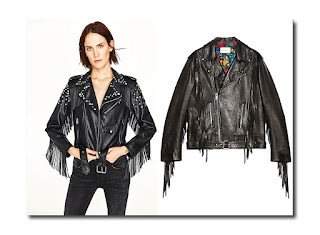 In several instances, I actually preferred the less expensive version and not just because of the price (it was by virtue of its design, size, etc.). 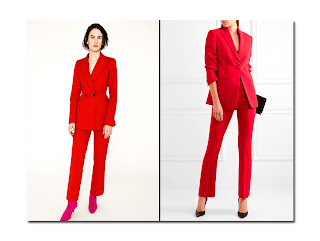 FYI, if it appears that most of the inexpensive pieces are from Zara, that was unintentional but given how in sync they are with the pulse of fashion, and how successful they are with creating affordable fashion, it shouldn’t be that surprising. 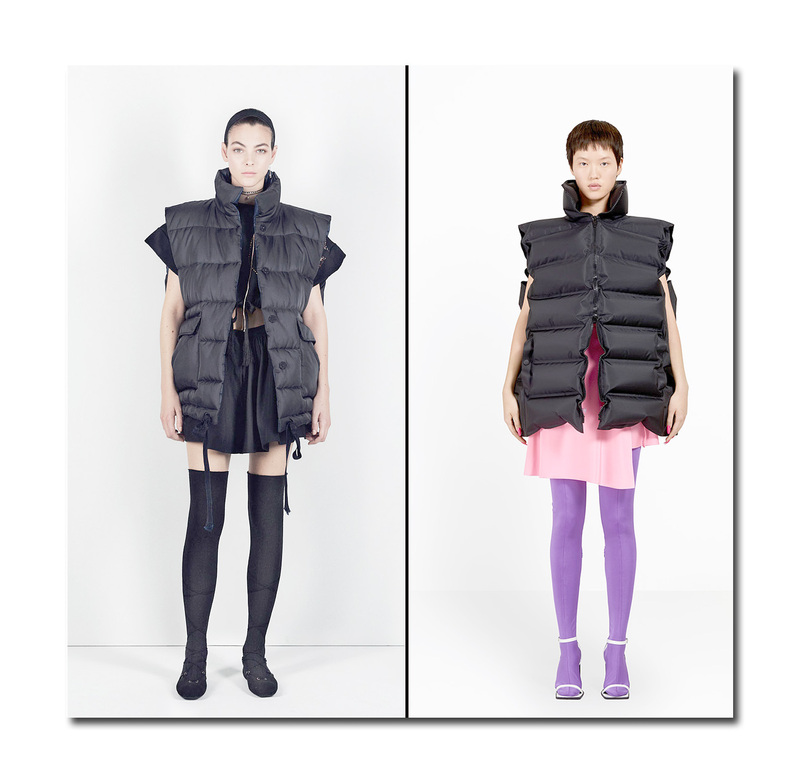 Left: Zara Studio Collection padded vest, $249 - More info/purchase Right: Balenciaga inflatable zippered sleeveless jacket, $2525 - More info/purchase. 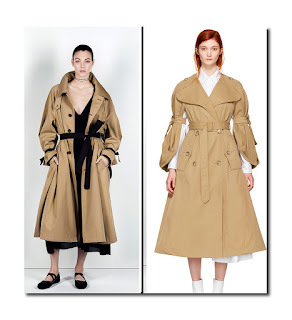 Left: Zara Studio slouchy trench coat with contrasting belt, $299.90 - More info/purchase Right: Simone Rocha tie sleeved trench, $2320 - More info/purchase. 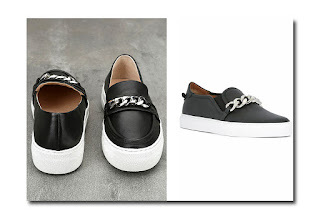 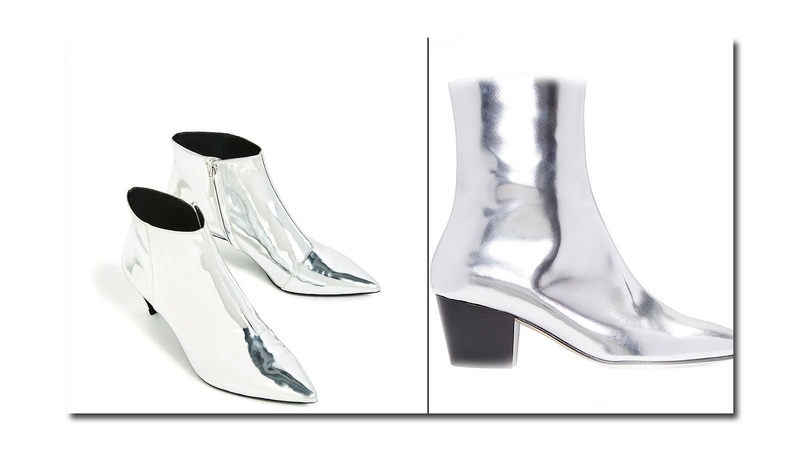 Left: J Slides Piper black leather platform loafers with silver chain trim, $129 - More info/purchase Right: Givenchy silver chain trim loafers, $850 - More info/purchase. 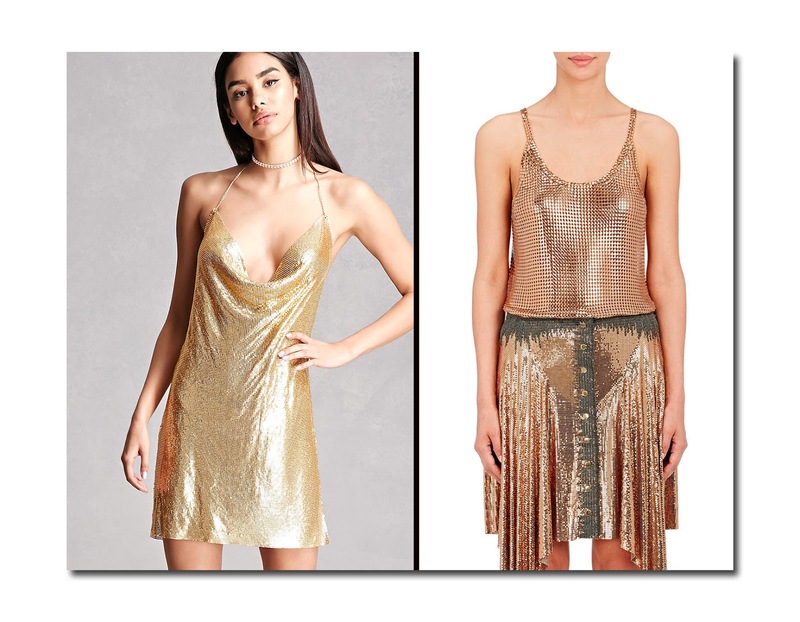 Left: Forever 21 chainmail tank dress, $125 - More info/purchase Right: Paco Rabanne chainmail tank, $3650 - More info/purchase. Left: Zara black leather fringed jacket with studs, $129.00 - More info/purchase Right: Gucci black leather fringed biker jacket, $6800 - More info/purchase. 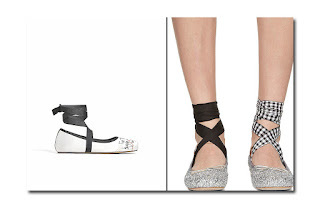 Left: Zara embroidered lace up satin ballerinas, $119 - More info/purchase Right: Miu Miu lace up silver glitter ballerinas, $575 - More info/purchase. 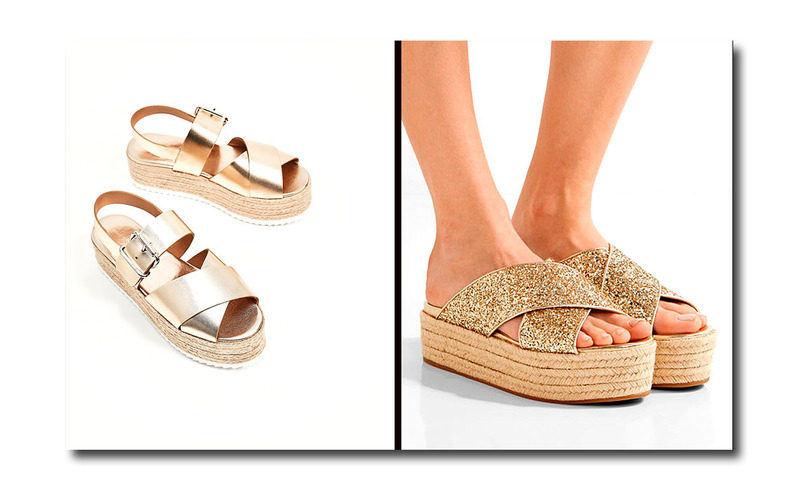 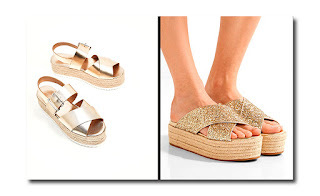 Left: Zara pale gold leather wedges with jute platforms, $89.90 - More info/purchase Right: Miu Miu gold glitter platform espadrille sandals, $495 - More info/purchase. 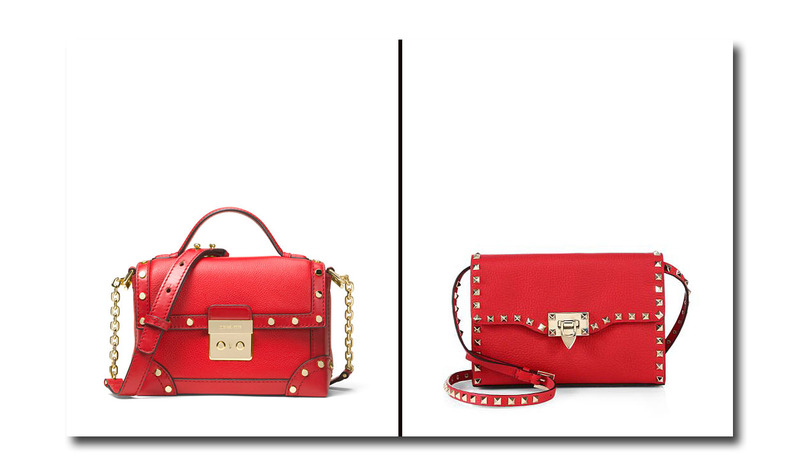 Left: Michael Michael Kors red leather Cori small trunk bag, $368 - More info/purchase Right: Valentino red leather rock stud small trunk bag, $1295 - More info/purchase. 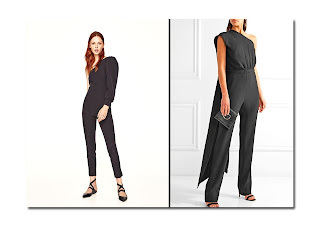 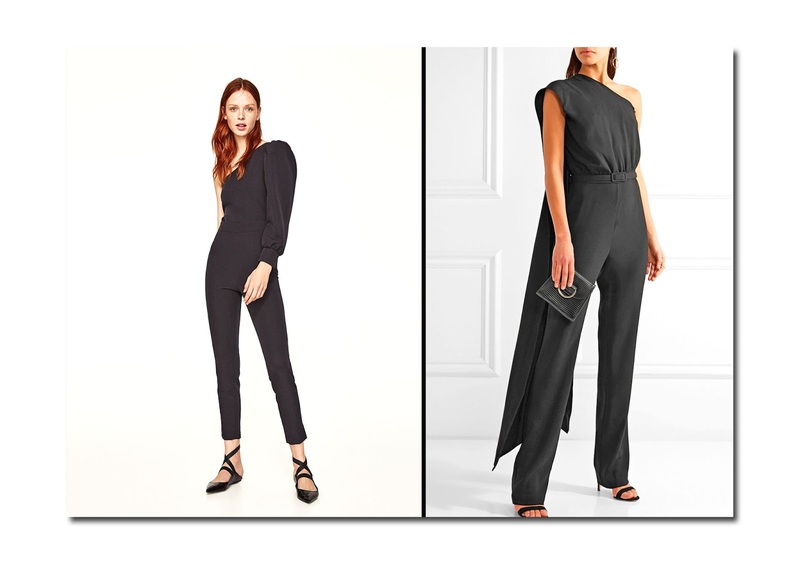 Left: Zara black asymmetric jumpsuit, $99.00 - More info/purchase Right: Co black crepe jumpsuit, $1095 - More info/purchase. 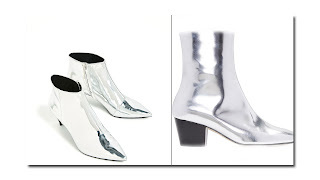 Left: Zara silver ankle boots, $34.95 - More info/purchase Right: Dorateymur silver leather ankle boots $490 - More info/purchase. 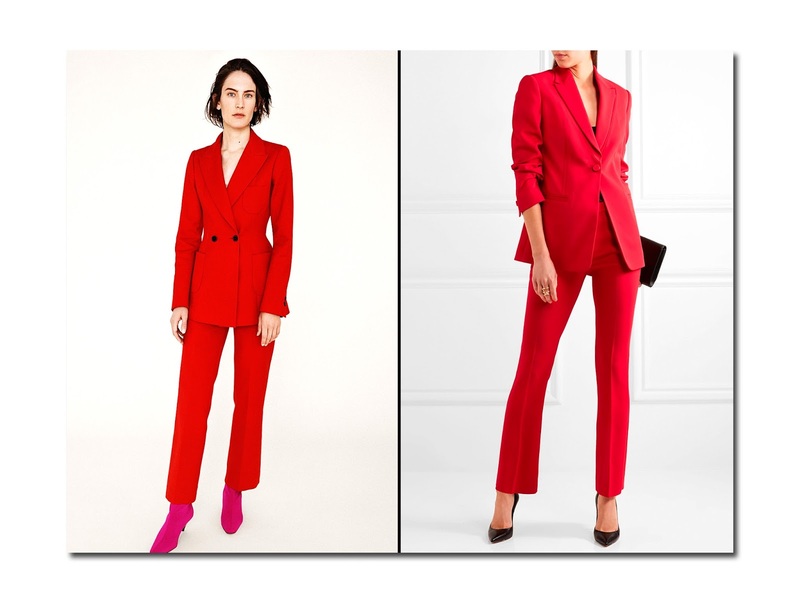 Left: Zara red power pantsuit, $238.90 - More info/purchase of Jacket & More info/purchase on straight cut trousers Right: Versace red power pantsuit, $2800 - More info/purchase for blazer & More info/purchase for crepe flared pants.